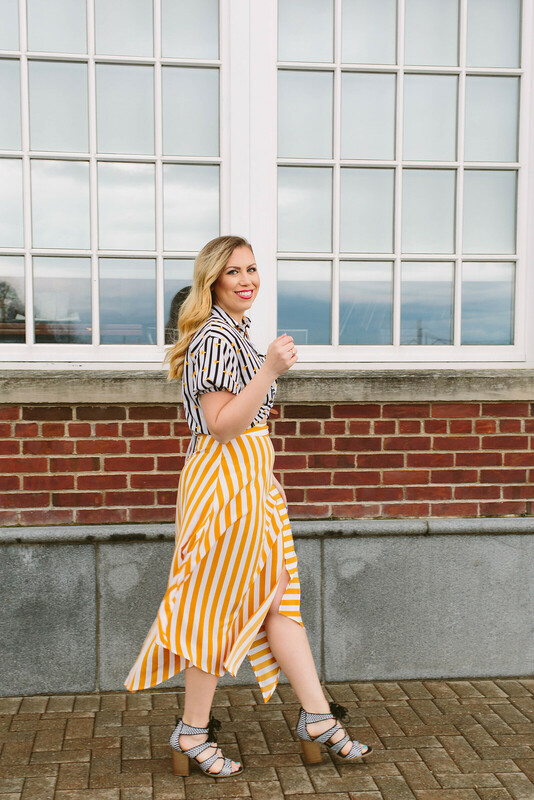 When I saw this yellow striped midi skirt in the store I knew I needed it. #1 it’s the color of the season, yellow! #2 I’ve been SO into midi length skirts lately. And #3 I loved all the details that made it special like the handkerchief hemline, the button detail on the side and the horizontal and vertical stripe pattern. 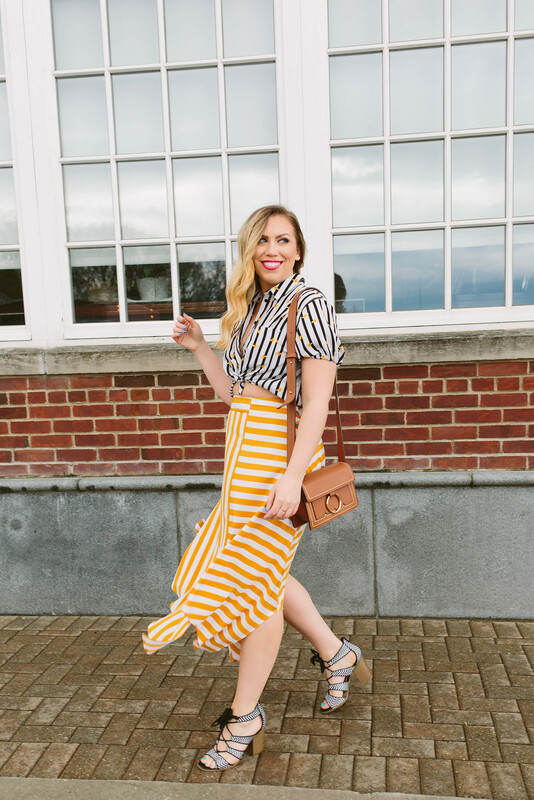 Once I got it home I couldn’t decide how I wanted to style it for the blog…did I want to dress it up or dress it down? 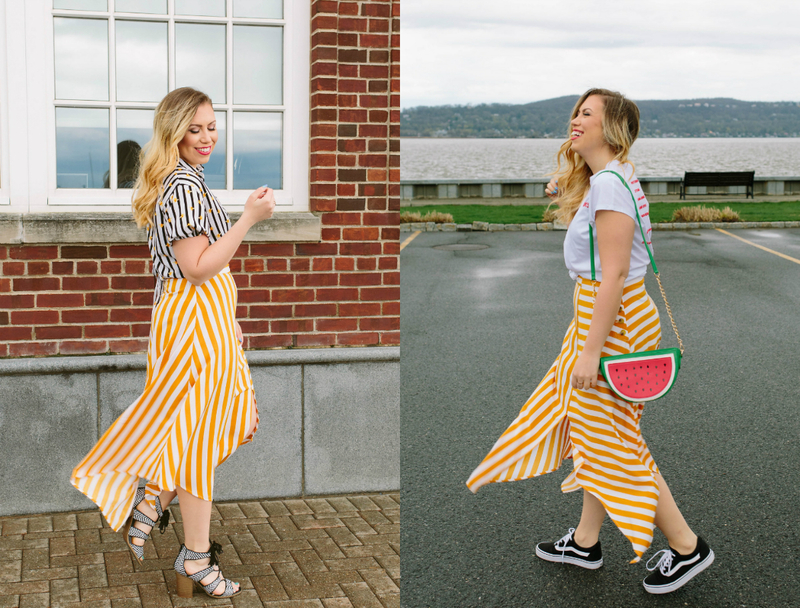 Well if you couldn’t figure it out by now, I couldn’t decide, so I styled it two ways to share with you guys! 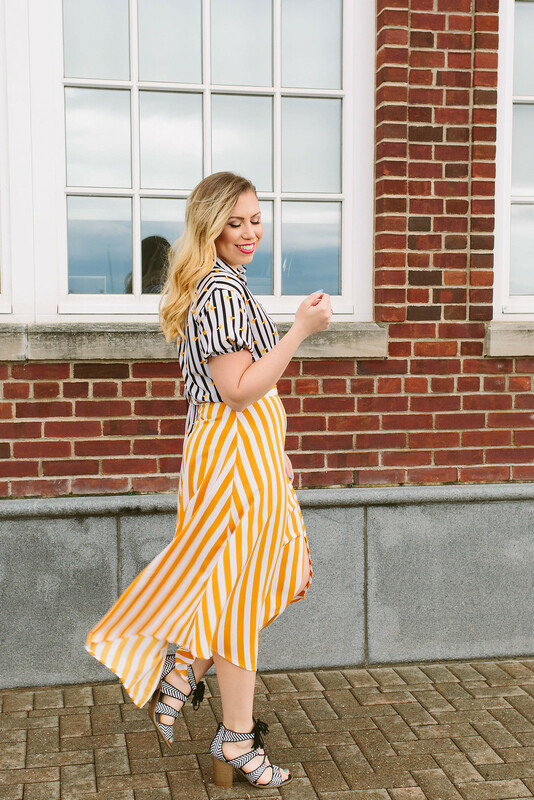 Honestly it’s easy to get caught up in the fashion blogger world where you only wear things once on the blog or Instagram, but that’s just not reality…not for me and not for you! 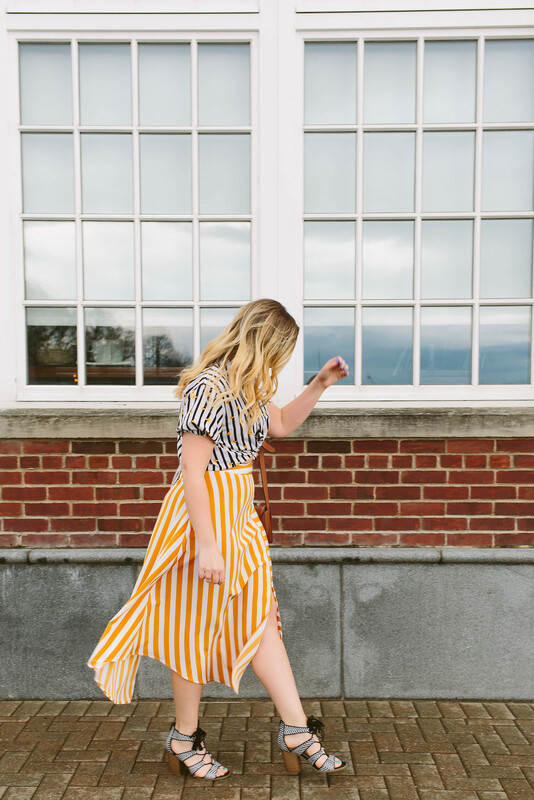 I’ve become really careful about only purchasing things that I really love and if I really love my wardrobe I want to wear it multiple times, not just once. And I want to be able to wear my clothing multiple ways! 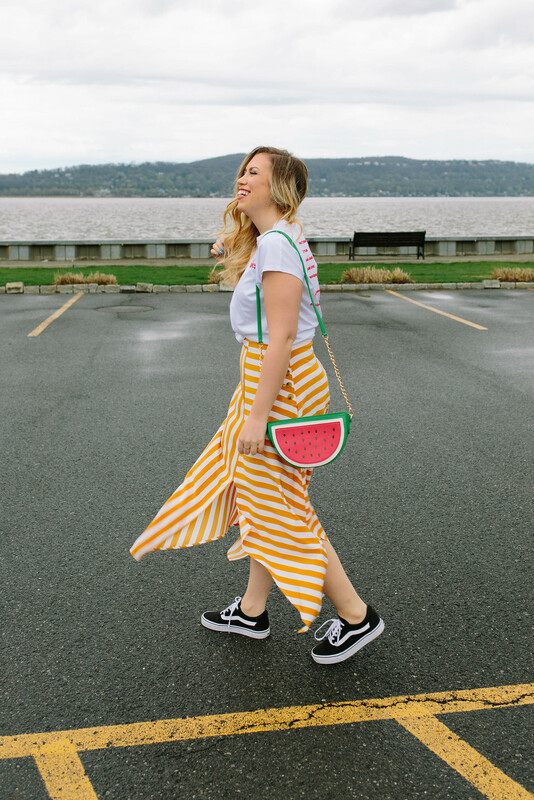 This skirt was the perfect piece to dress up and dress down! It looked just as chic with a t-shirt and Vans as it did with a fun button up and heels. 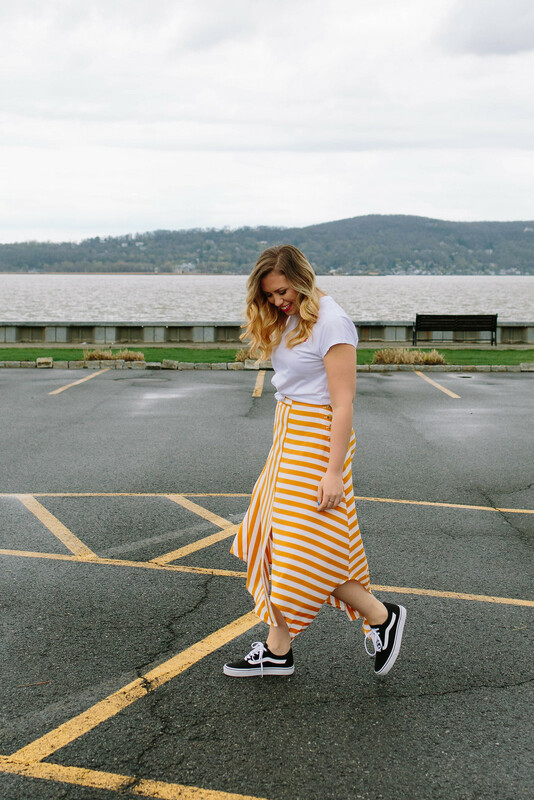 The one common thread with both outfits was that I really played up the bold nature of the skirt! 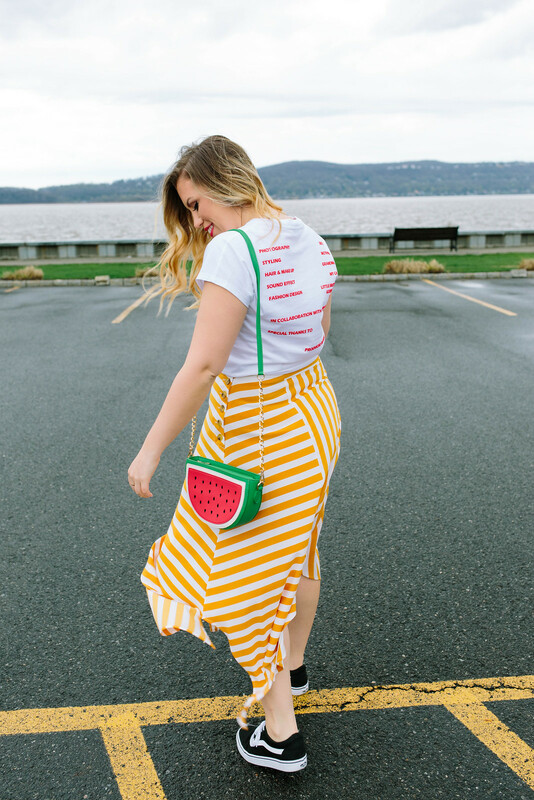 The back of the t-shirt is an unexpected touch of my dressed down look and of course my watermelon bag is always a conversation starter. As for the dressed up look I decided to go for a stripes on stripes outfit for a fun twist! 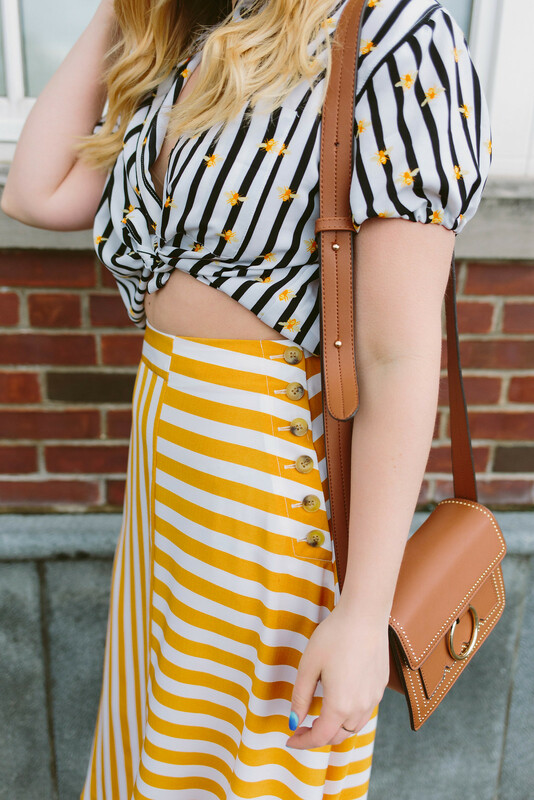 I honestly wasn’t sure the pairing was going to work, but the bees on the top perfect matched my striped skirt. 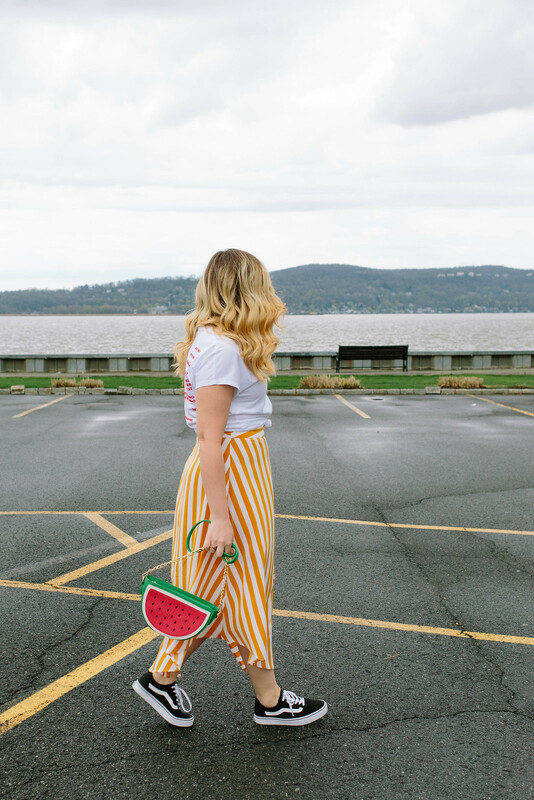 Do you have pieces in your closet that you love to dress up and dress down?